We often exaggerate the phrase, "My worst nightmare," but when it comes to getting audited, it's true. Audits are many people's worst nightmare — but they don't automatically have to mean financial disaster. To help navigate the unwelcome process, consider these important steps to take as suggested by tax professionals. A lot of folks' first response to receiving their audit notice is to panic. Just the word "audit" has the ability to throw everything into a tizzy. But in all probability, if you've reported your taxes accurately (or at least tried to), the situation is likely not as bad as you think. "It can be easy to fly off the handle and make what can be simple requests for information into a pressure-filled, stress-inducing scenario," says certified financial planner Joel Ohman. "This need not happen if you have someone — a CPA, tax attorney, or other trusted professional — representing you and counseling you." Slow down, take a deep breath, and call whoever does your taxes. Trust them; rely on their advice. Take a good look at the audit notice you received. Many audits are desk audits or computer document-matching audits rather than the complete tax return audits done in-person. "If the audit request is a document-matching audit, they will typically ask you to verify certain lines on the return," explains Grafton "Cap" Willey, CPA and managing director of the New England division of CBIZ MHM. "Very often they will propose an adjustment based on the information they have received. They will state that you reported 'such and such' and they have additional documents that they do not see reported." Documentation is the key to success in audits. Provide organized documents such as 1099s, K-1s, W-2s, and canceled checks, and reconcile them to the amounts claimed on the return. If you do not have adequate documentation, it's more likely that you won't get the deduction. "IRS information is not always correct, so look it over carefully and make sure that they have the correct information," Willey adds. "Investment gains and losses are often misrepresented and very often the IRS will assume a zero-cost basis on unreported transactions. Providing corrected information will usually satisfy them." When going through your documentation, if you come up with more deductions than you claimed, don't be afraid to submit them in your response. The IRS can be very strict on accepting documentation for charitable donations and business expenses, however. The IRS is very good at making people feel nervous about being audited, and when people are nervous, they tend to ramble — sometimes to harsh consequences. "Remember the IRS's job is to appropriate your money for government needs, and your job is to justify why you should keep the money yourself," explains CFP Brent Dickerson, owner of Trinity Tax Advisory. "They are not your friend, and they are not there to help you keep money for yourself; many people in an audit situation fail to remember this fact. They let down their guard and often say things that they don't even realize can bite them. Therefore, it's in your best interest to have a representative work on your behalf with the IRS." If the audit is an in-person audit, consider bringing along a tax professional to represent you at the audit. "The IRS is not afraid to try to intimidate a taxpayer representing themselves," Willey says. "A tax professional that has experience with tax audits should be aware of the rules and know when the agent may be fishing for issues. Very often, giving a tax professional a power of attorney authority may avoid the taxpayer from having to sit down with the IRS agent, which many taxpayers would like to avoid." Make sure your records are well organized and well documented; make it easy for the agent to follow. If they have confidence that you're presenting good documentation, they will be more likely to accept what is presented to them. Sometimes a tax audit is a negotiation — you may have to concede to some changes on smaller items in order to not have big changes on larger items. It really depends on the agent. Some agents nitpick minor items, while other agents go straight for the big issues. "In my experience, IRS field agents tend to rigidly apply the law in favor of the Treasury," says Matthew T. Eyet, Esq. of Sandelands Eyet LLP. 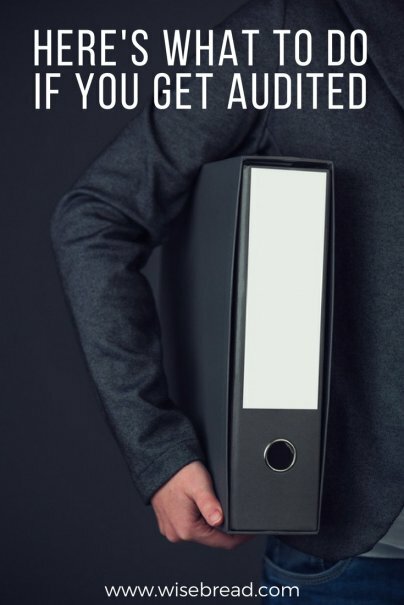 "If at the end of the audit you think the agent got it wrong, file a protest to take your case to the Office of Appeals where the appeals officers are typically more taxpayer-friendly in their analysis." In addition, he adds, unlike field agents, appeals officers are allowed to consider the hazards of litigation when negotiating a settlement. This almost always means a better result for you. If you've really dug yourself a hole and committed criminal acts by submitting fraudulent taxes, you'll need more than a CPA to help you. An enrolled agent is a tax expert and recognized by the IRS as having unlimited right of representation. They're your best hope of the least amount of recourse. You want this situation to be over, and the best way to accomplish that is to pay what you owe immediately. If you don't, you run the risk of added interest and penalties with late fees on top of that. If you don't pay the balance in full in the first 21 days of receiving notice of what you owe (for balances less than $100,000), penalties begin accruing. The faster you can get this squared up and put behind you, the better.